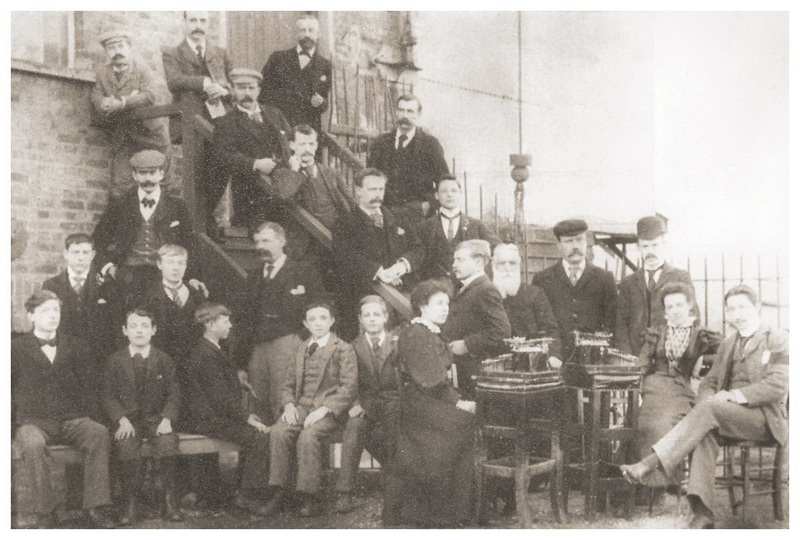 © A group of office staff including some very young boys. 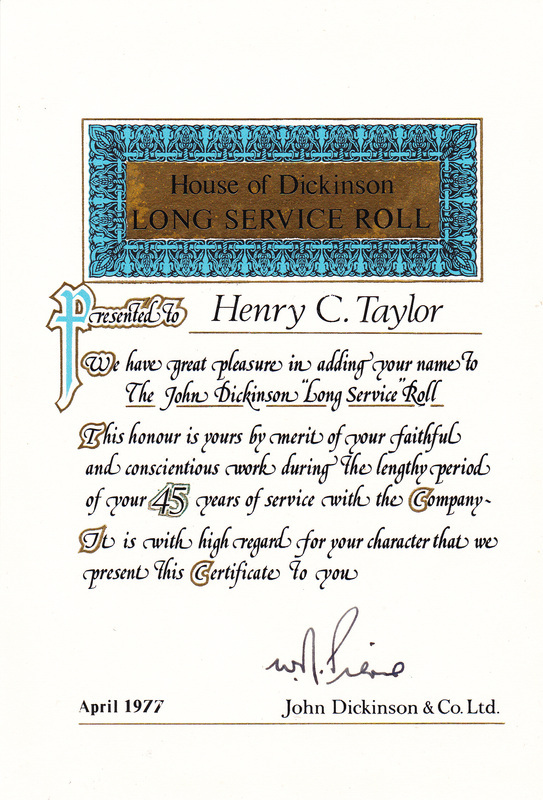 When John Dickinson opened his first mill it was to improve the way in which paper could be made more efficiently and with choices of quality for different purposes. 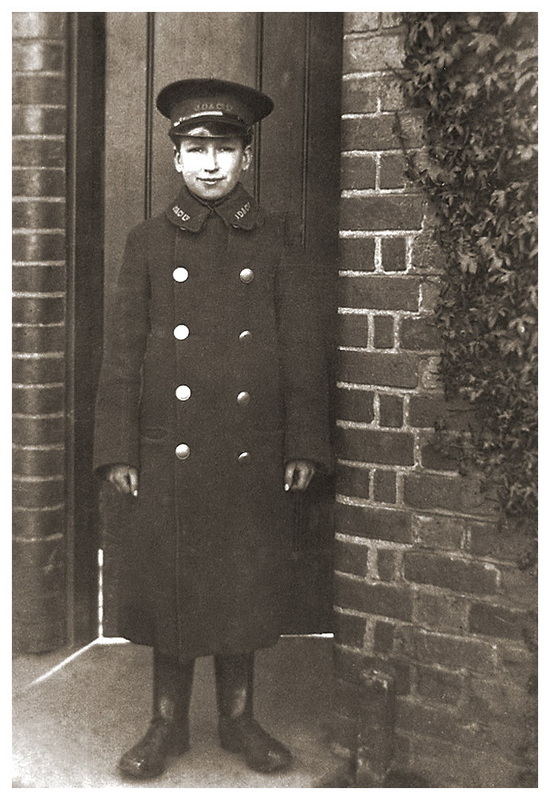 As a business and family man it can be seen that he also set up good working conditions for the workforce. 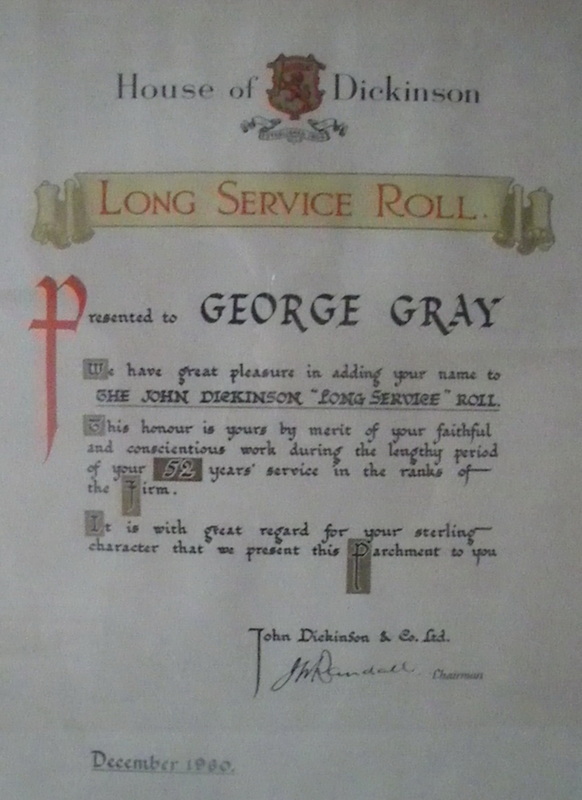 This ethos was encouraged and passed down by members of the family as they continued to run the company after he retired. Mill managers, foremen and department heads also demonstrated how much they valued the welfare of employees. 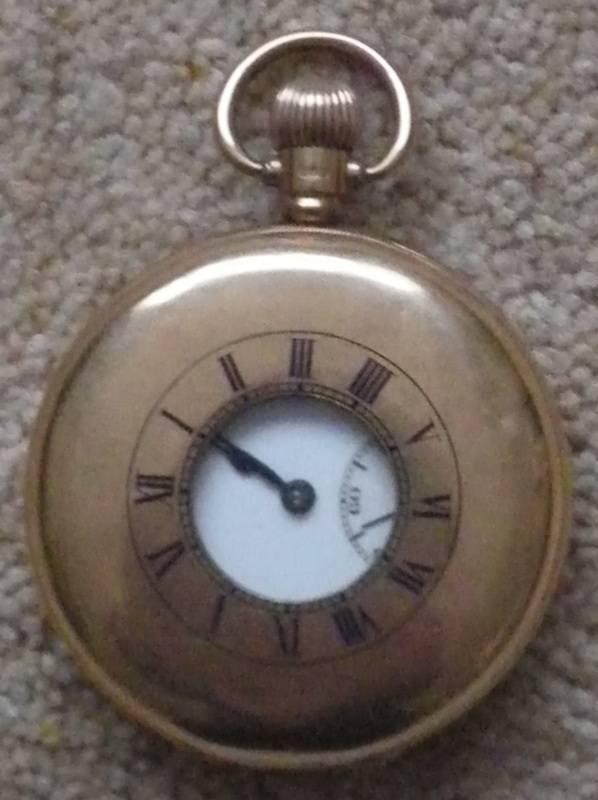 In 1889, following the enlargement of the mill, it became necessary to employ an over-all manager and Charles Hope Little was given this post together with a mill cashier, James Coutts of Aberdeen. 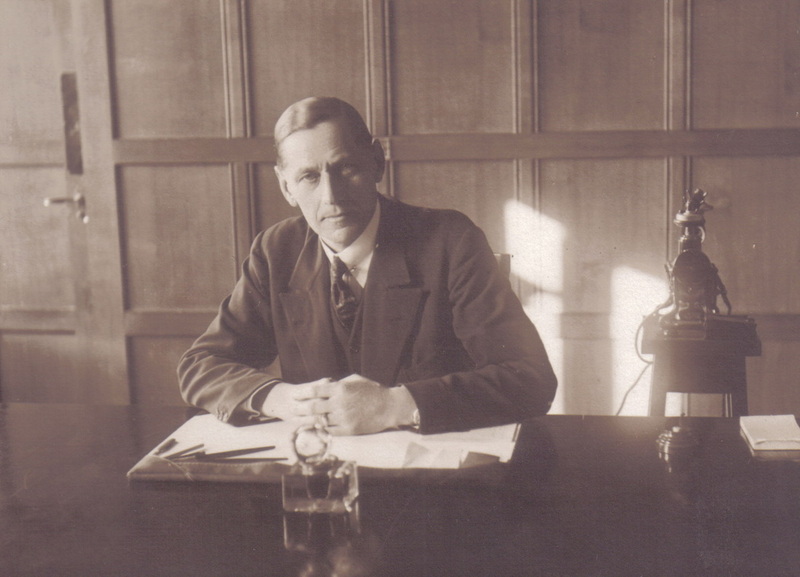 Charles Barton-Smith took over the management of the Croxley mill from Charles Hope Little in 1899. 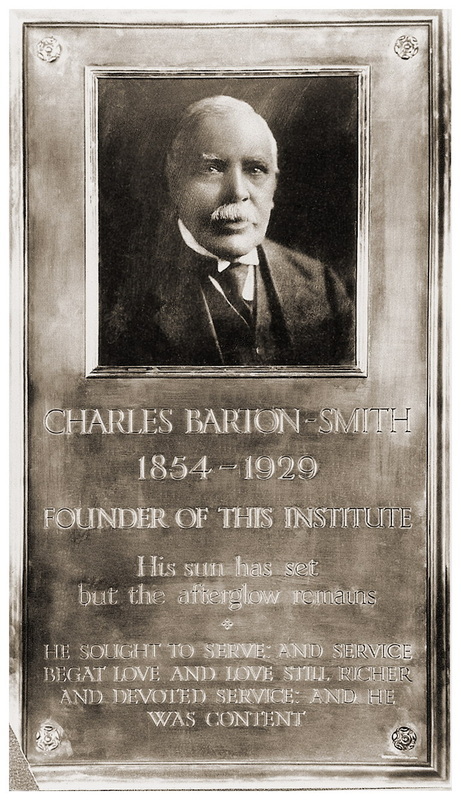 Many people who worked at the mill were to become household names but none more so than Charles Barton- Smith. 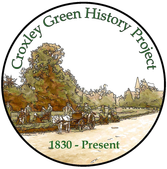 He and his family established and encouraged numerous opportunities for the staff, as well as all the residents of the village. 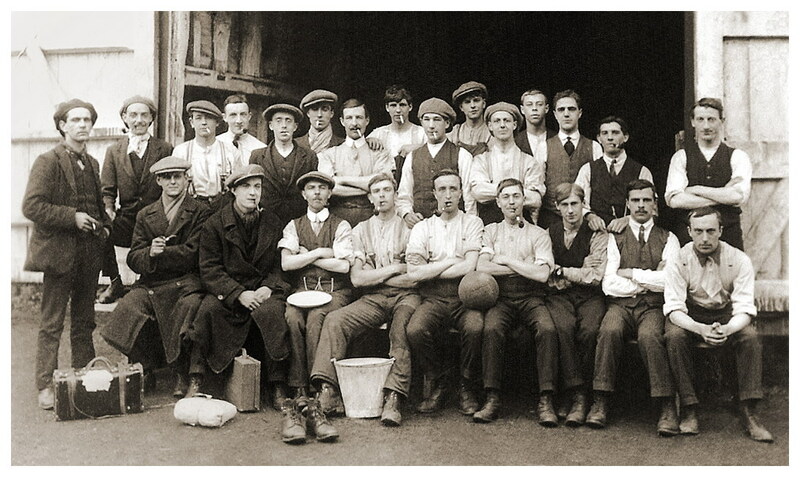 The John Dickinson Company, which included several mills around the Hemel Hempstead area had consistently provided their employees with good working conditions. Many employees started straight from school and continued until retirement. Job opportunities within the firm were also encouraged. Fred Heckford in particular started from an early age with a basic education. He rose to become an eminent chemist, gaining high qualifications and developed an interest and was guided through the process of paper making and rose as an eminent chemist and gained high qualifications. 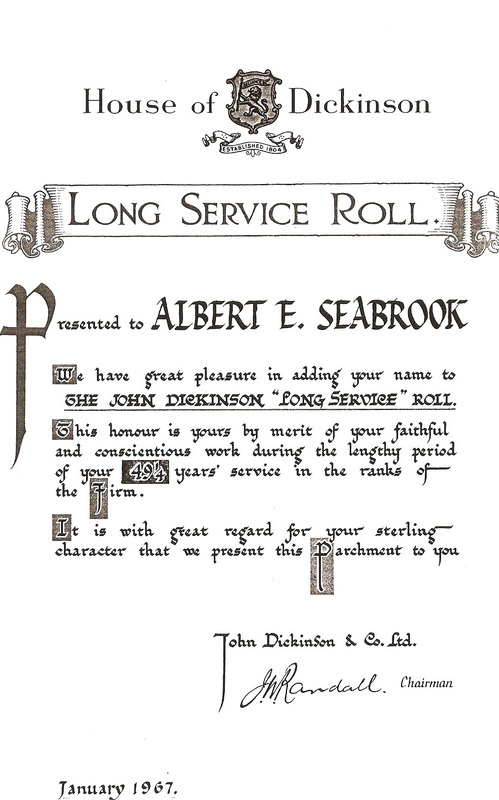 He had several books published through John Dickinson including ‘Essays on Paper-Making and Paper’ in 1929. 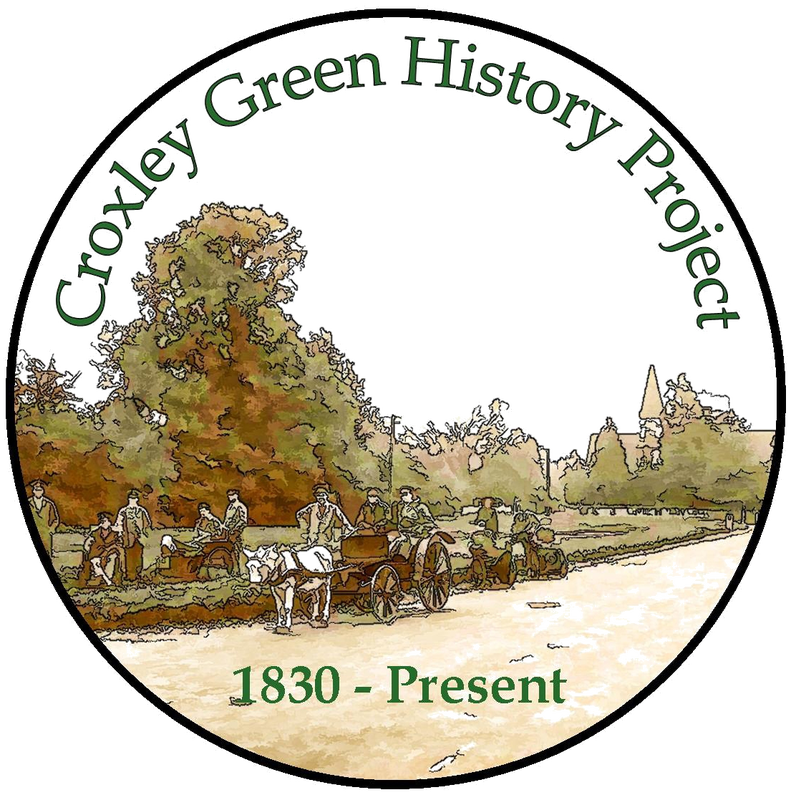 Equally, social opportunities were provided, The Institute/ Guildhouse in New Road and sports grounds were made available not just for employees but for all Croxley Green villagers to enjoy. They were very popular. 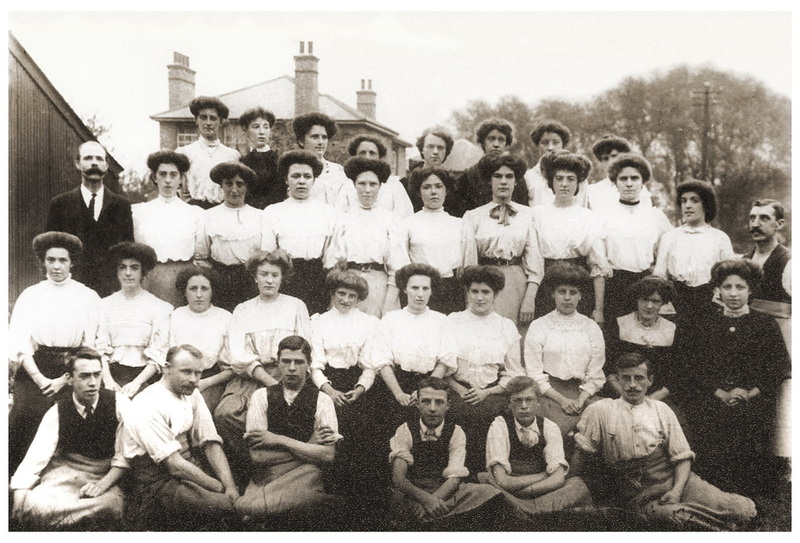 Outings to the seaside were arranged for the mill workers on a on a regular basis. All these possibilities made the mill a place in which staff stayed in employment for many years. 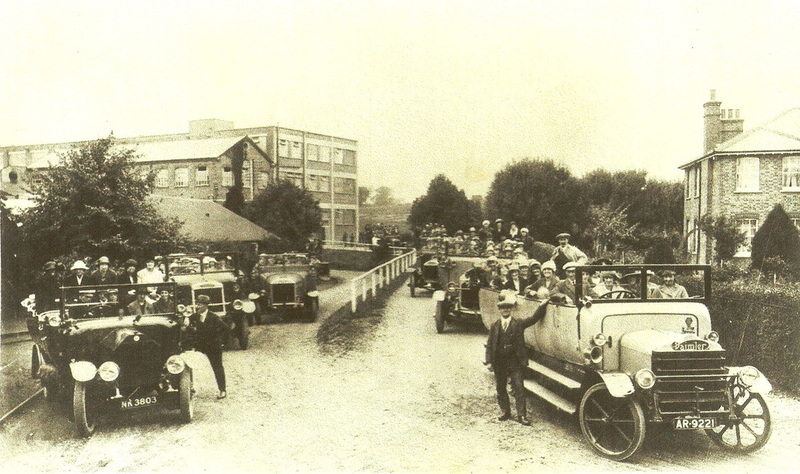 However, the employees of the mill came under increasing pressure from the national trade unions regarding working conditions particularly in the 1920’s. 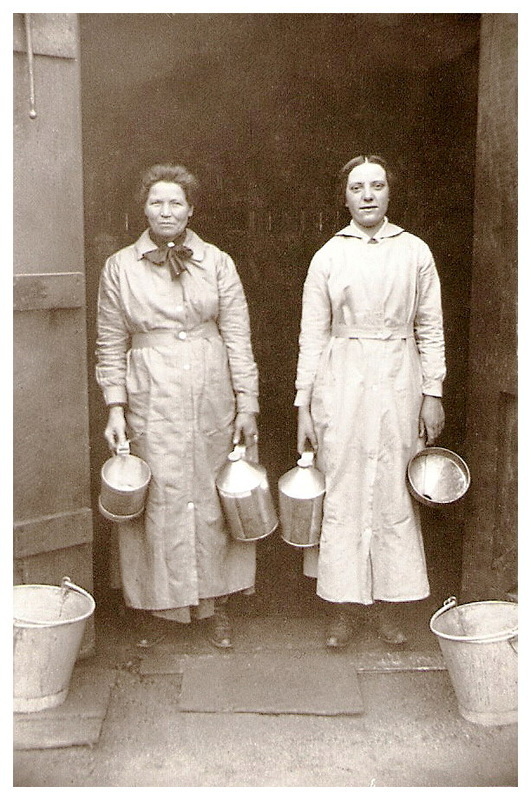 For several hundred years workers from all walks of life had been struggling for better pay and conditions as well as equal opportunities across the country. 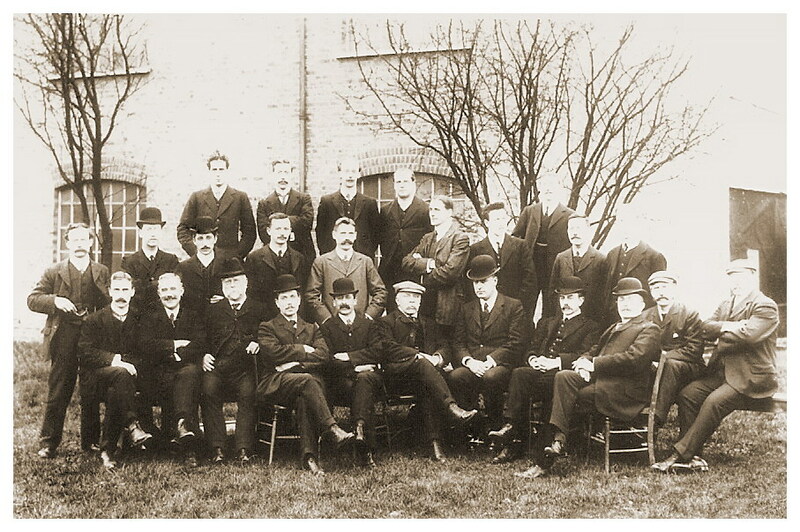 It wasn’t until 1867 that the legal status of trade unions in the United Kingdom was established by a Royal Commission on Trade Unions. 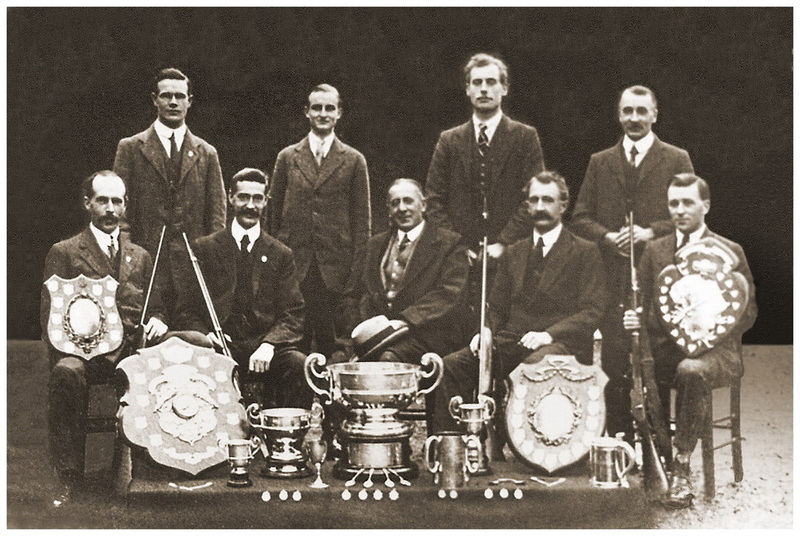 This meant the establishment of these organisations was to the advantage of both employers and employees. Unions were then legalised in 1871. 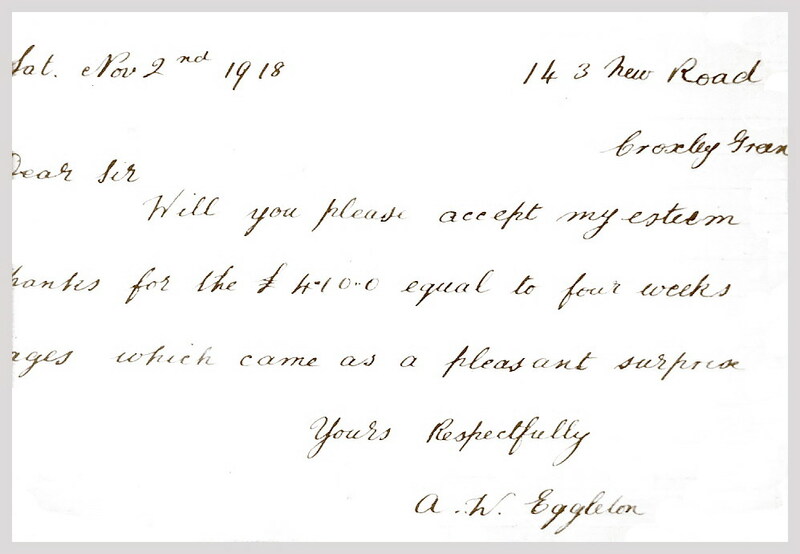 © 1918 A note sent to the mill from a member of staff ! 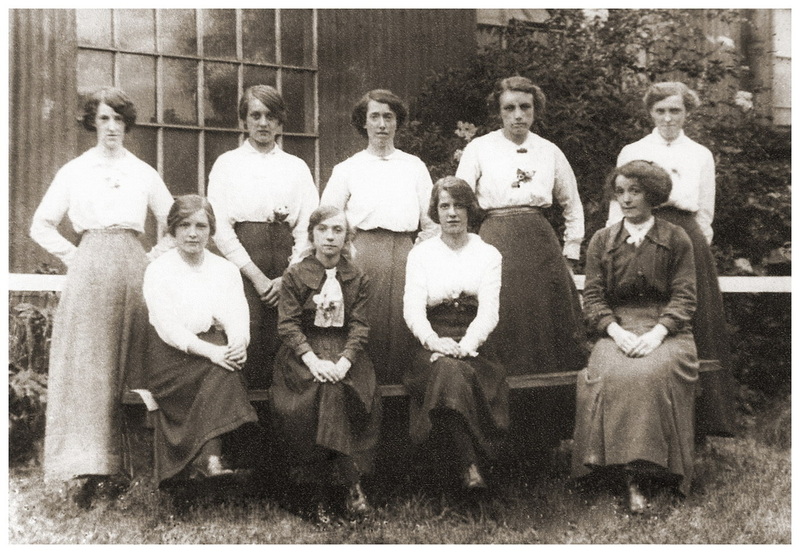 The mill workers were asked to vote and make a decision in 1926 following the Trade Union Congress who had called a general strike in defence of the pay and conditions, for coal miners. 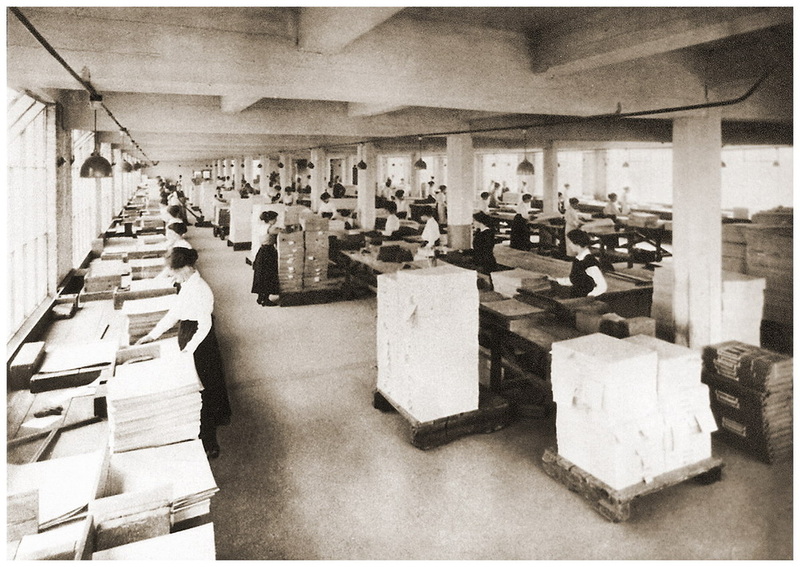 This dispute had an unhappy ending but the managers of John Dickinson Company put together proposals for the workforce to form their own union. 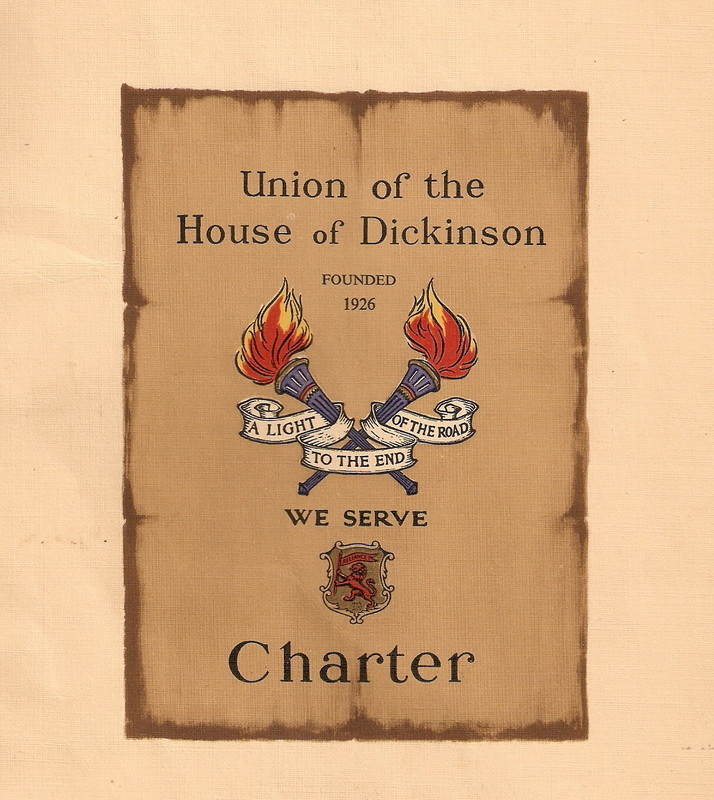 A Charter was drawn up with these proposals and put to all the workforce throughout the mills and agreed The charter was called the ‘Union of the House of Dickinson’ with a motto ‘A light to the end of the road’. The agreement covered all aspects of staff working conditions including pay and pensions. 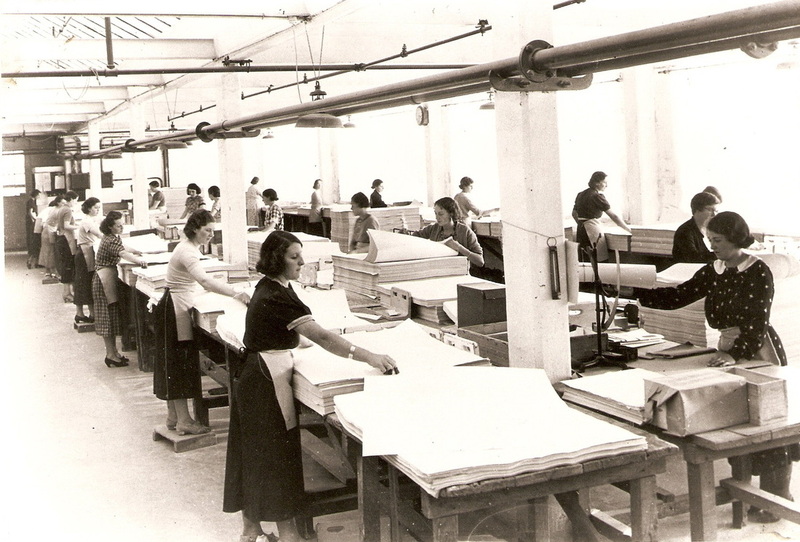 The company continued to treat its workforce fairly and during the Second World War the mill was declared a reserved occupation and permission had to be obtained to join the armed forces. If permission was granted, while the men were absent representatives visited the families to ensure all was well and they were able to cope. Financial help was also made to those families that needed some assistance. Such was the continued good name of the company that many people saw no reason to leave and stayed at the mill until their retirement. It became customary for the company to reward their employees and recognise their loyalty for long service and commitment to their job and the company. 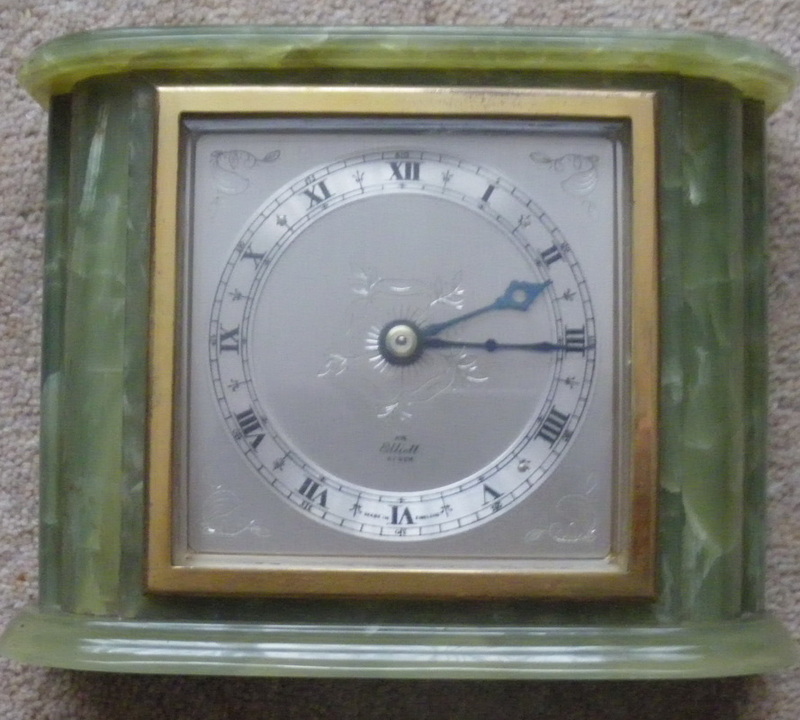 Often employees were given the opportunity to choose their gift. 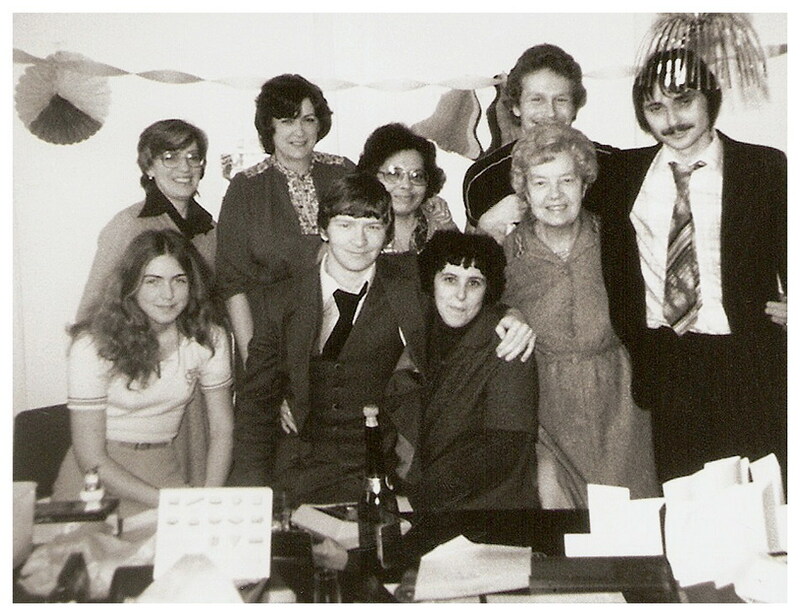 Workers who had stayed with the firm were presented with some form of recognition after 25years and on retirement.